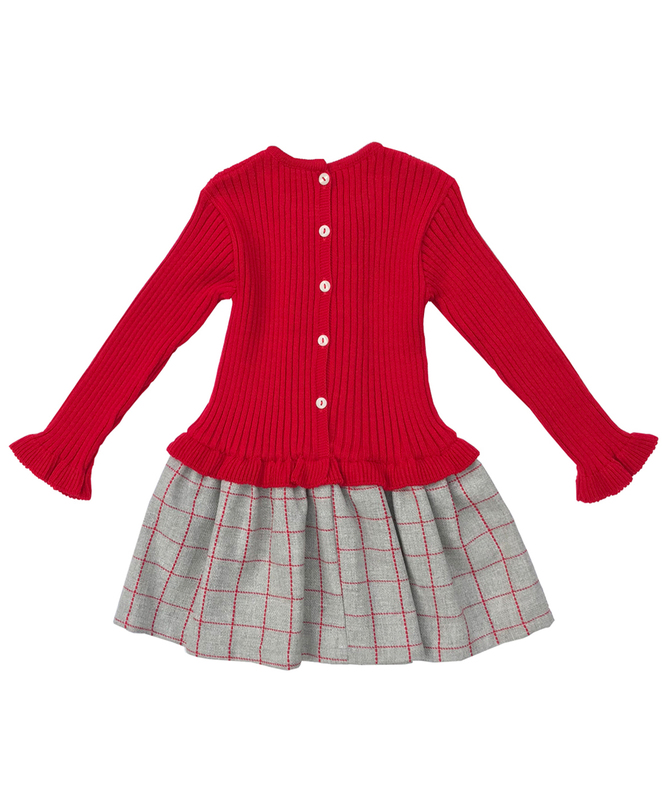 Daisies and Conkers girls wear have been carefully selected for you with comfort and style in mind. 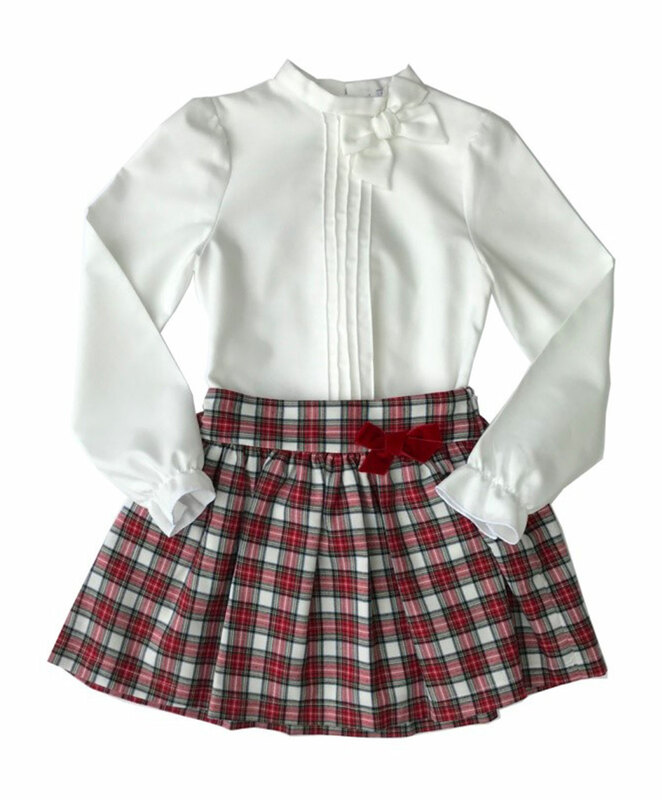 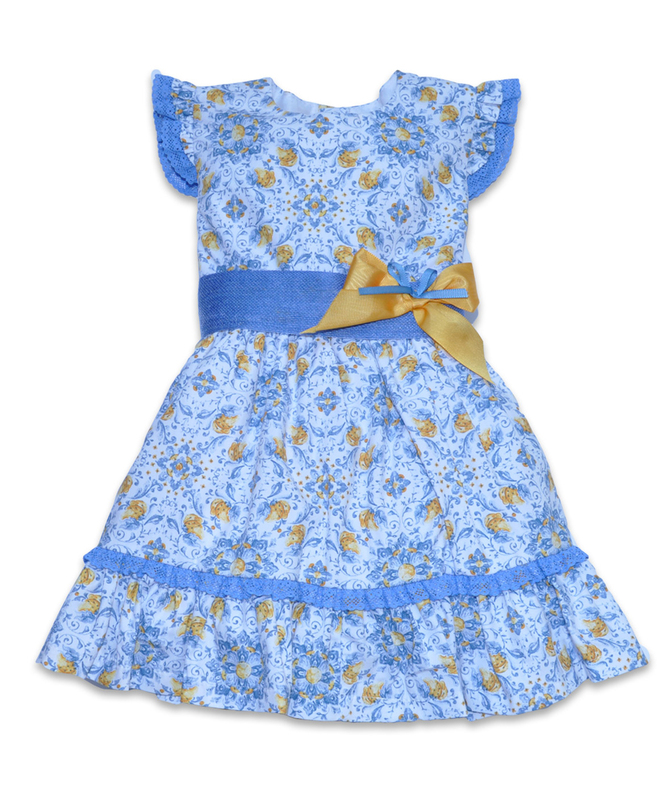 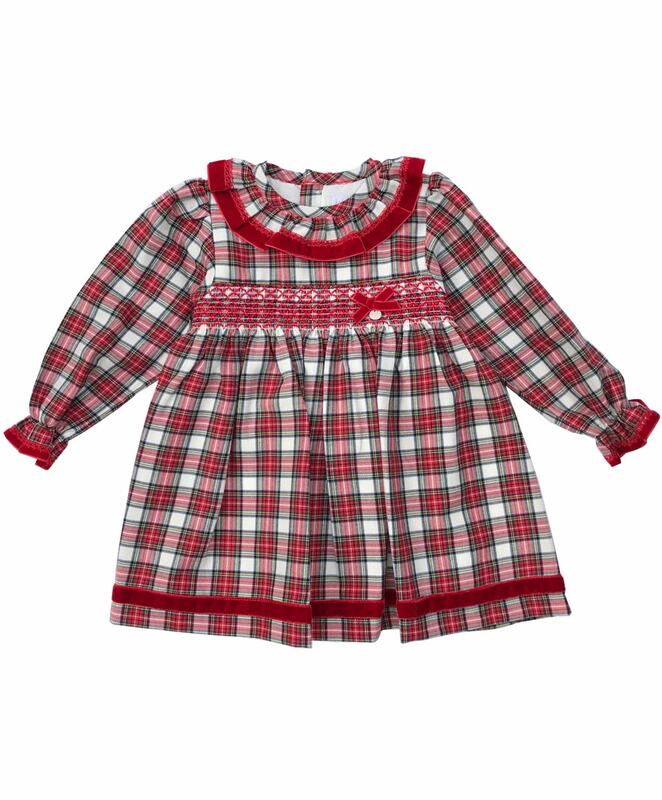 We have gorgeous outfits for little girls to wear on any occasion. 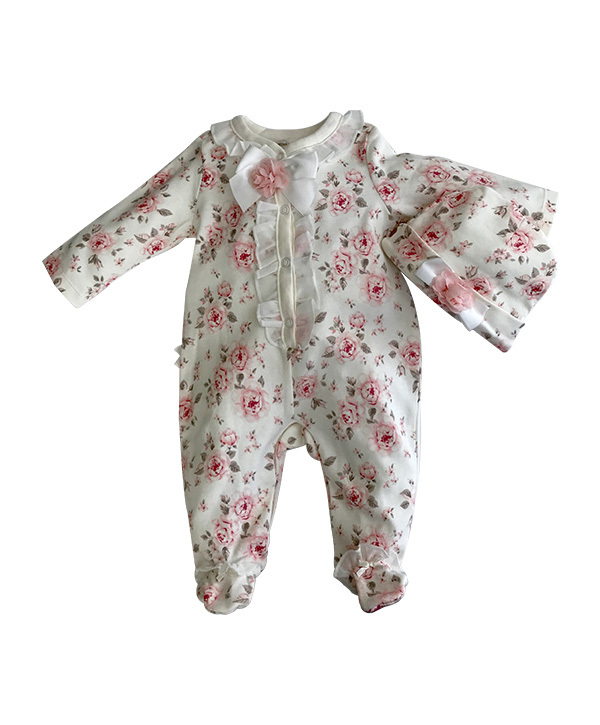 Our seasons must have printed are ditsy floral, love hearts and bold sunflower prints. 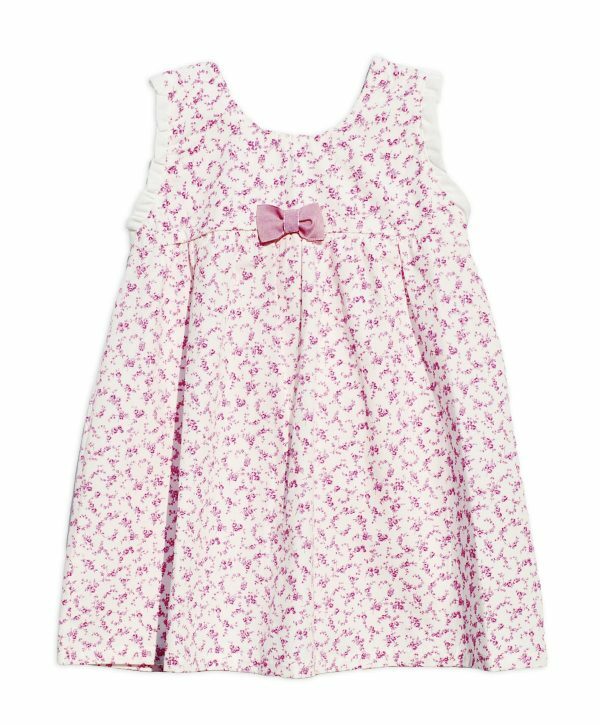 Gorgeous ditsy floral print dresses in blue and pink and coordinating tops and knickers are so pretty, your little girl will look so dainty. 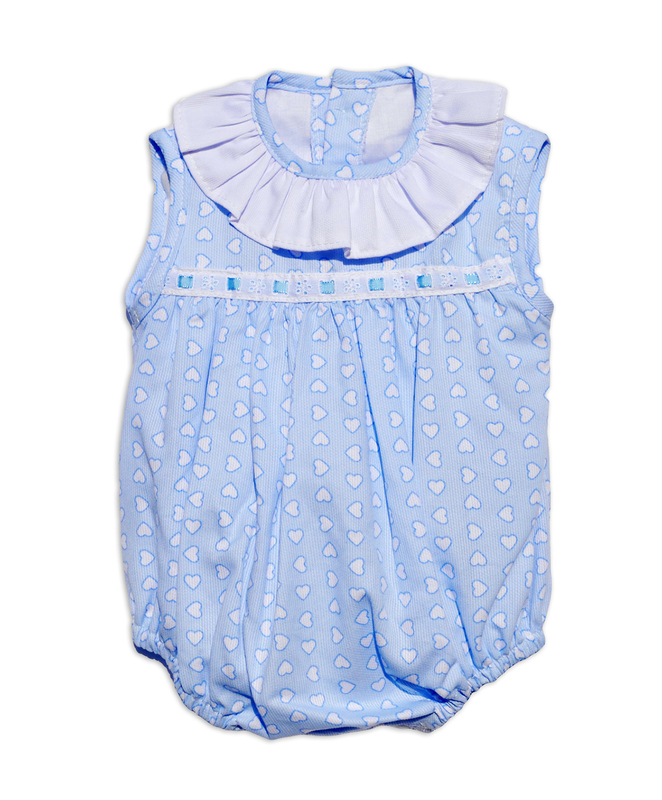 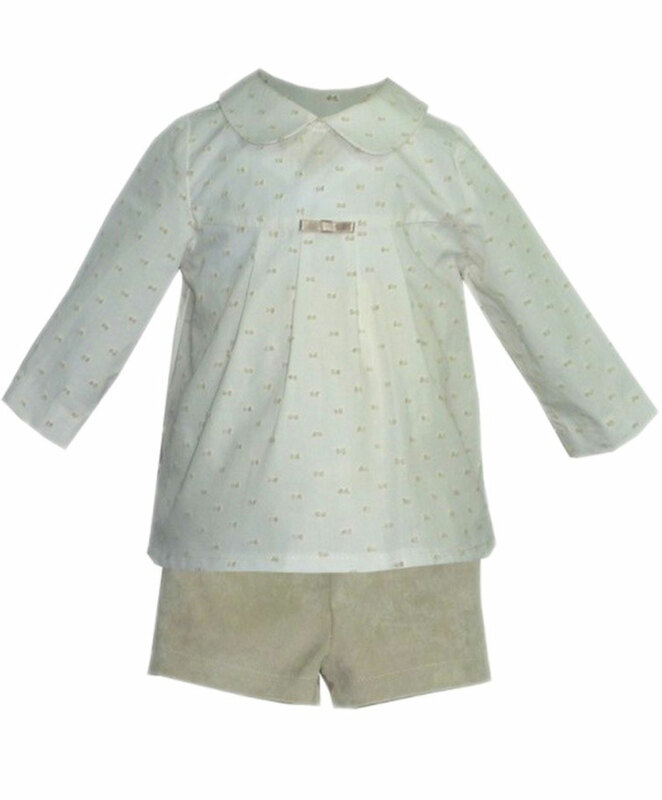 Cute love heart printed dresses with frilled neck trims and pretty bows, and all-in-one rompers in baby blue are perfect if you are looking for something other than pink for your little girl. 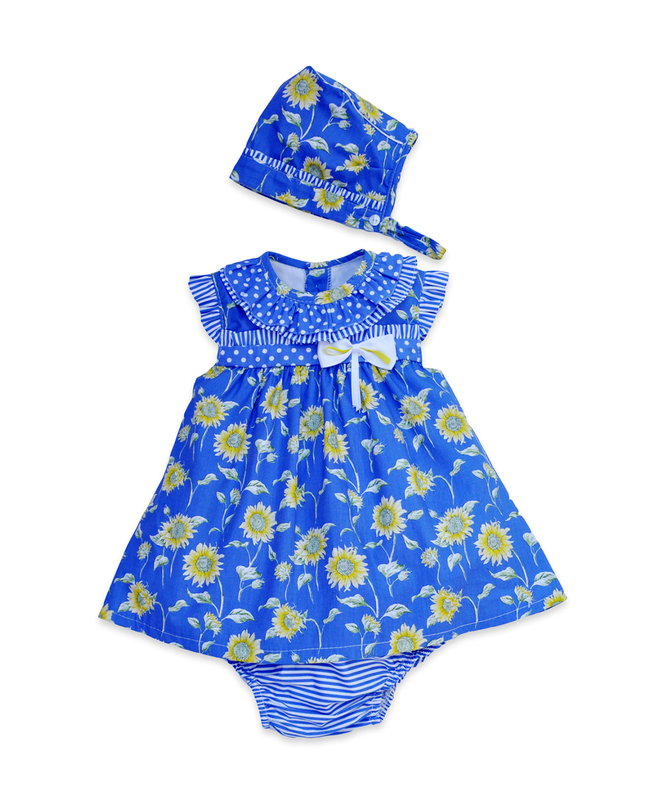 Bright, bold sunflower prints on cotton dresses and full airy skirts are perfect for sunny days and holidays, your girl will stand out in a crowd and will be cool in crisp cotton. 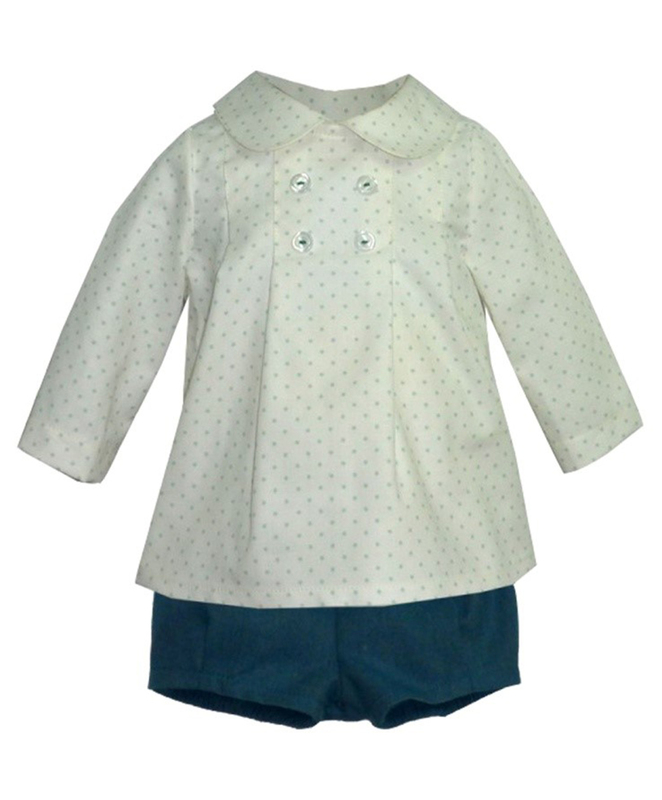 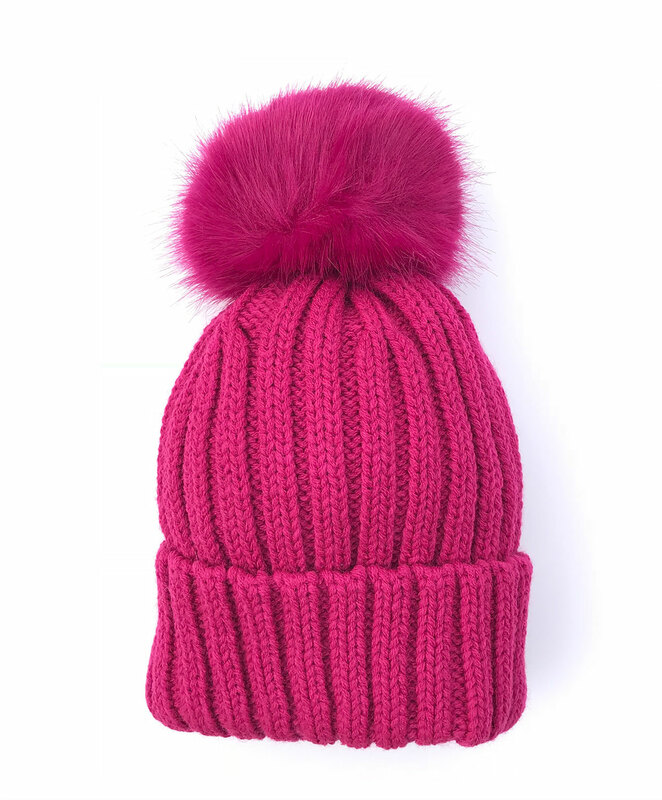 Looking for something a little chic! 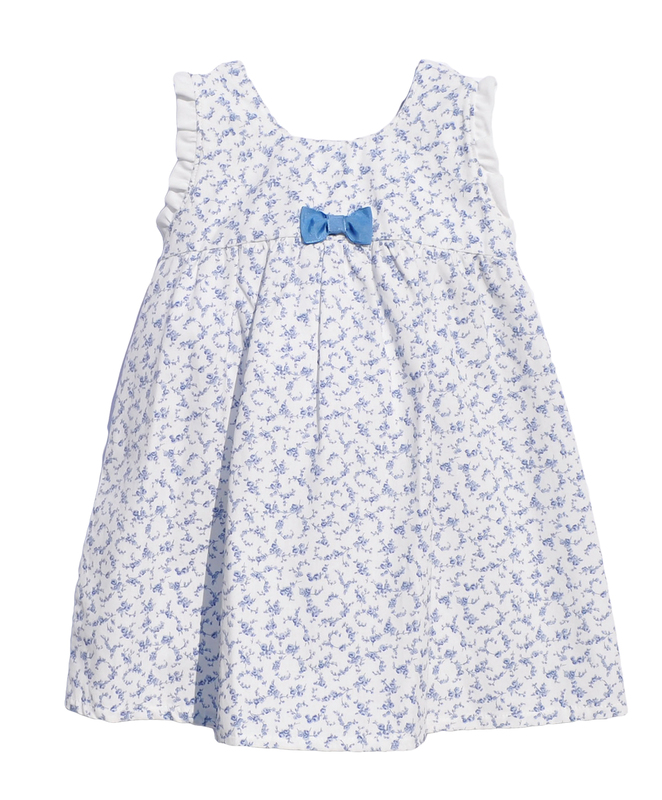 If bold floral prints are not for you and you prefer a cool crisp palette of navy, white and beige choose something from our French-inspired range. 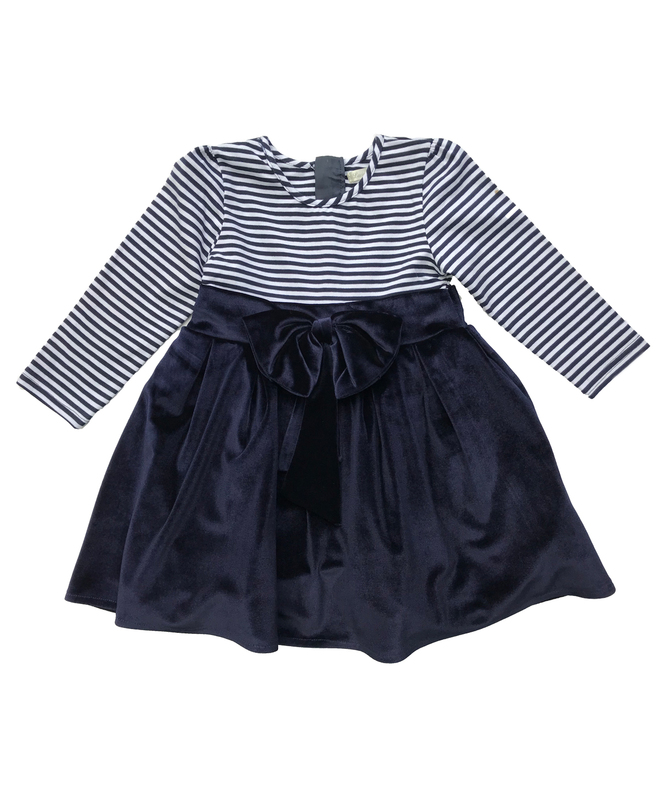 This collection oozes sophistication. 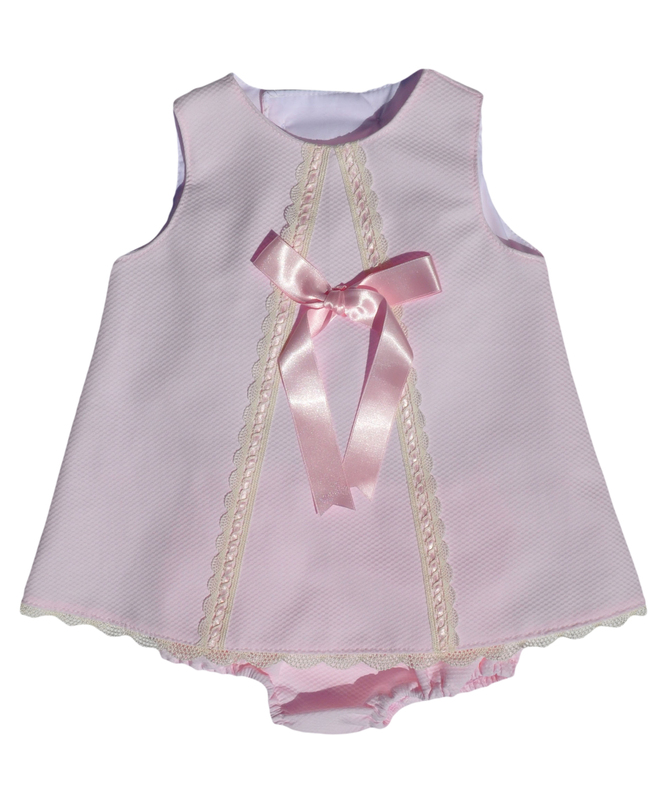 Your baby girl will look beautiful in our three piece set including cute bonnet or lovely dress with full skirt with integral petticoat. 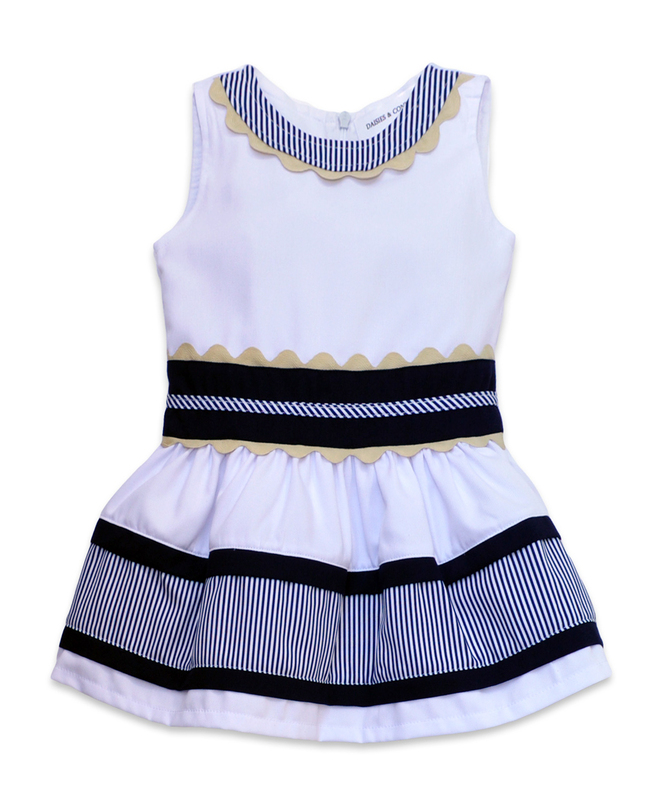 Gorgeous scalloped trim details around the neck and waist make these pieces extra pretty. 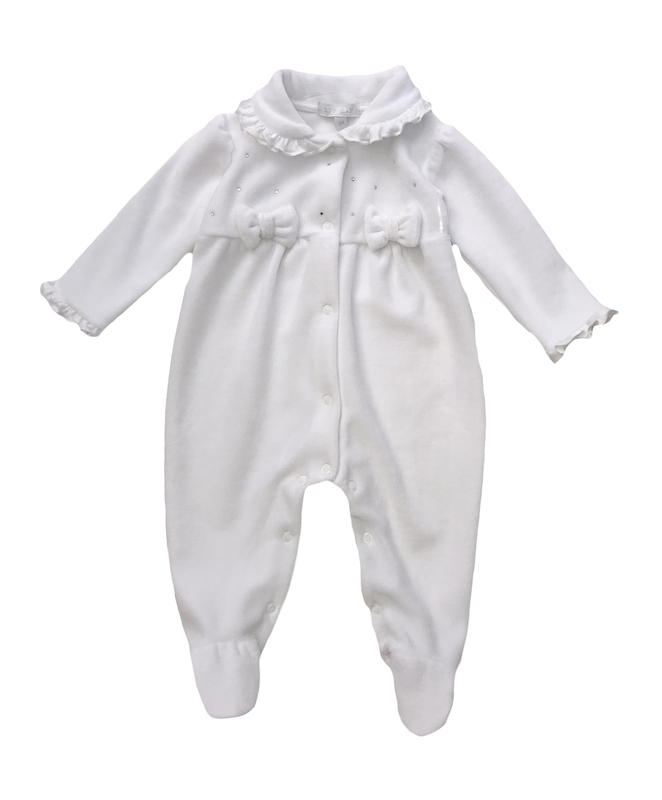 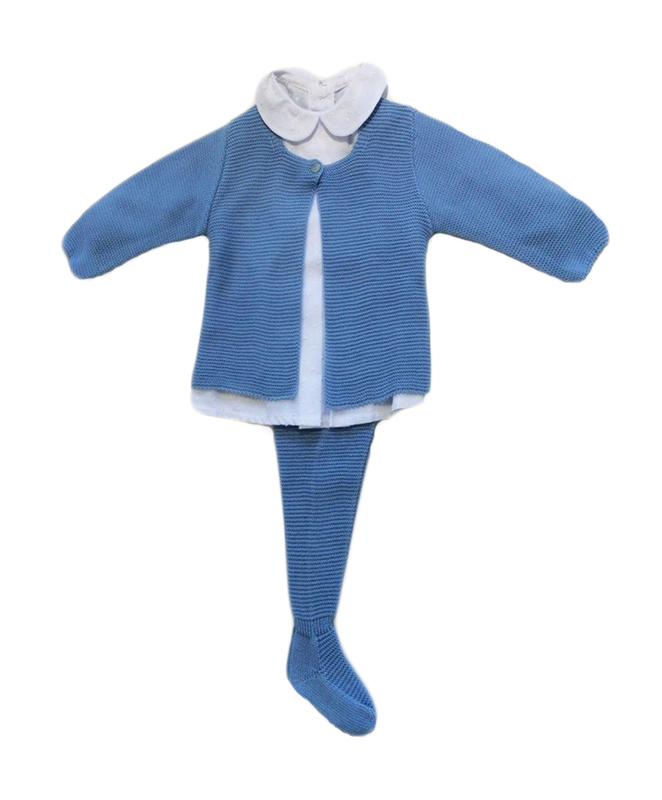 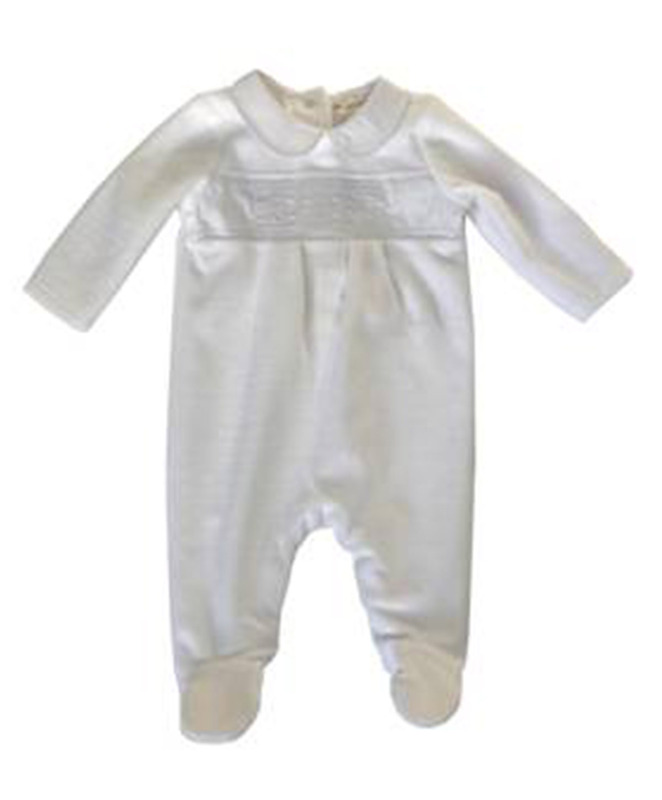 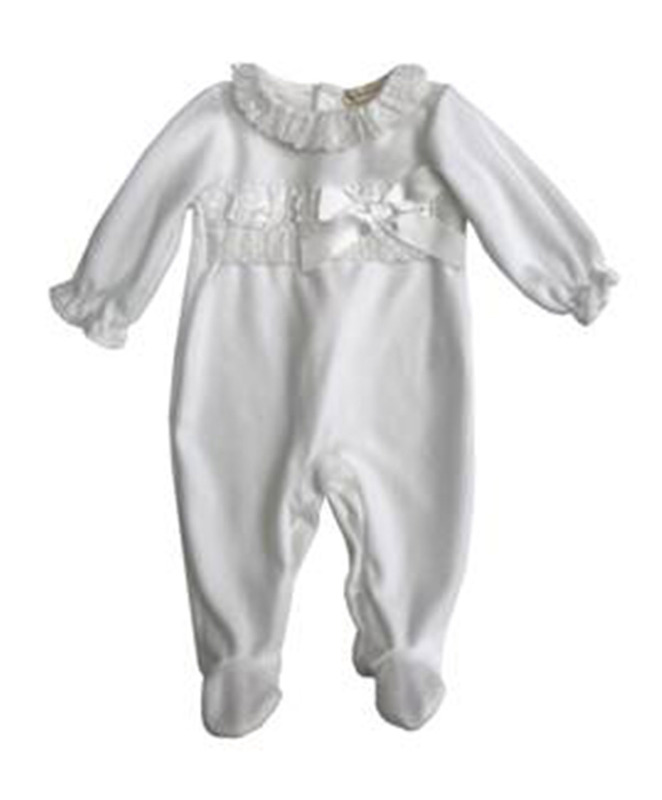 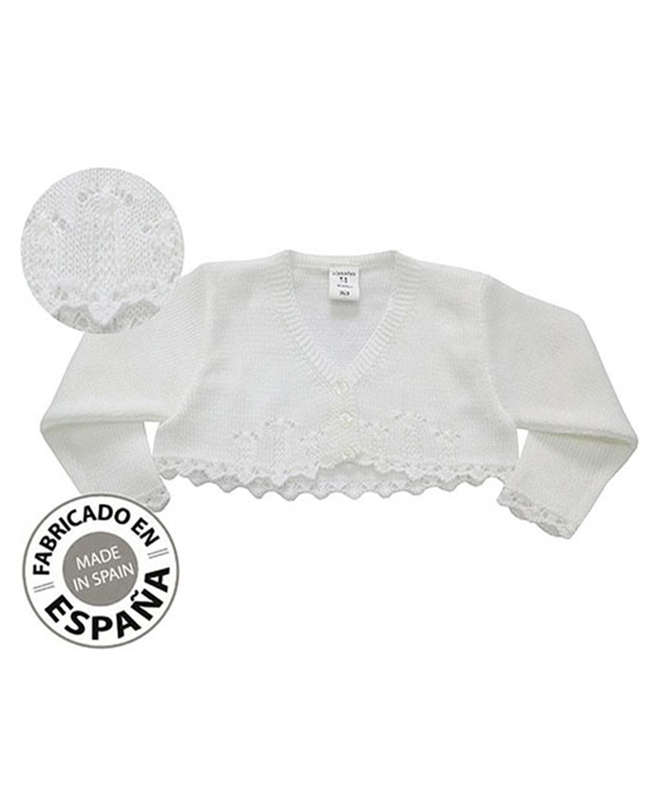 Our girls knitted suits will ensure your cute baby girl looks the part at any special occasion this season. 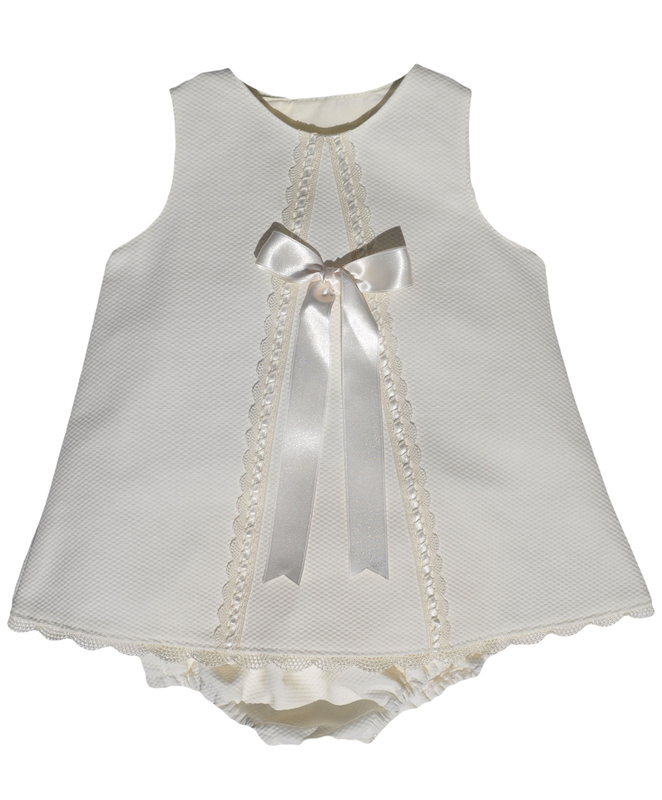 Sweet bonnets and embroidered woven peter pan collars play up the traditional look. 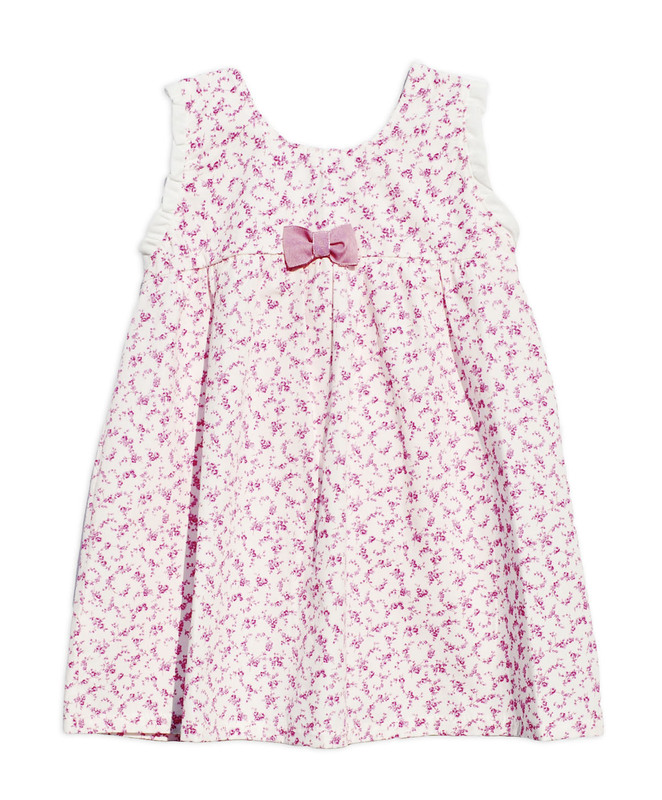 Wrap her up in lovely comfy tops adorned with gorgeous contrasting knits, pretty knitted flowers, and pink bows. 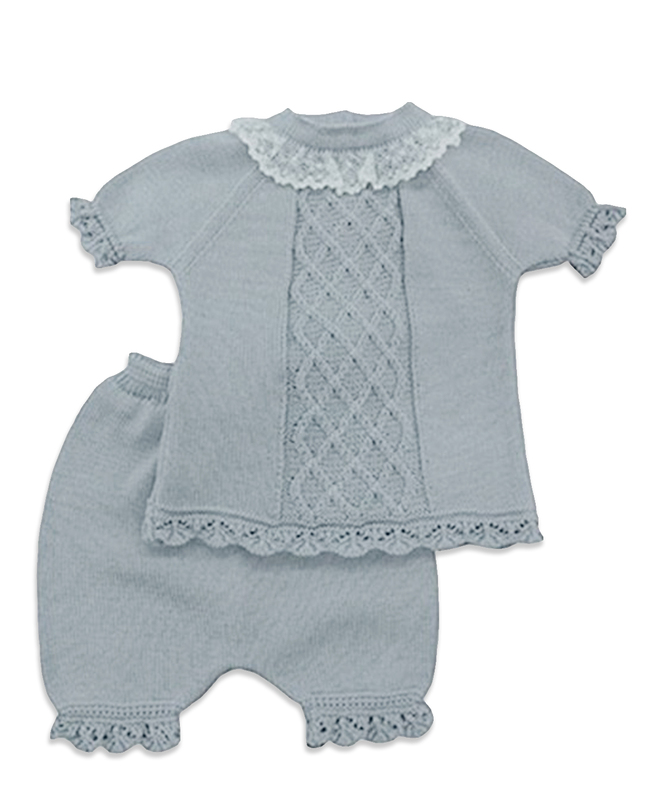 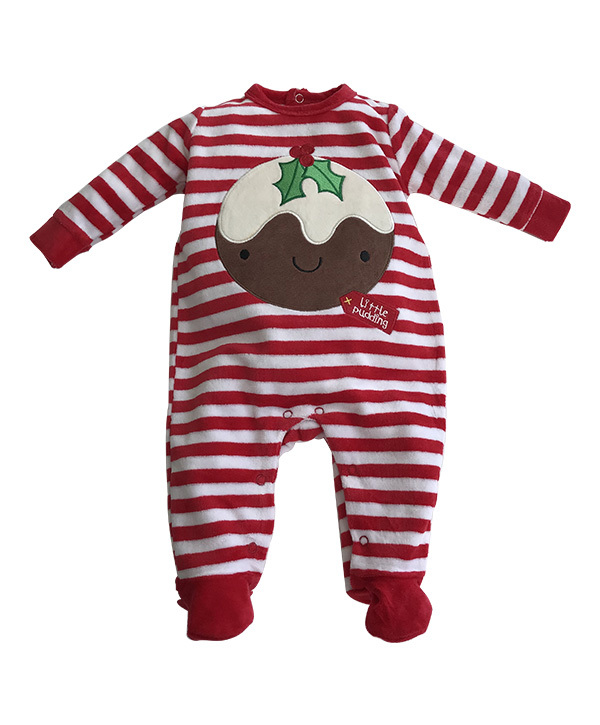 Matching knitted trousers will ensure your baby looks their best on every occasion. 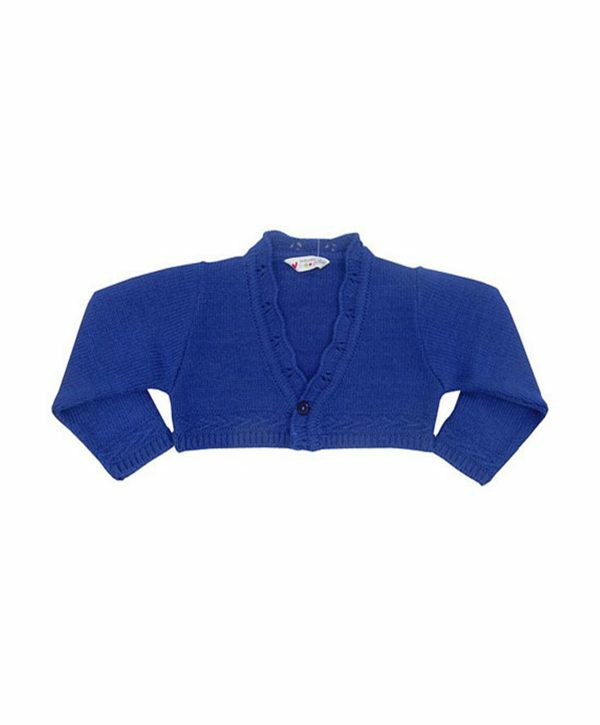 Choose a cardigan from our collection of lightweight knits to layer up keeping your little girl warm on a cool summers evening.